Leduc Physio loves our staff! 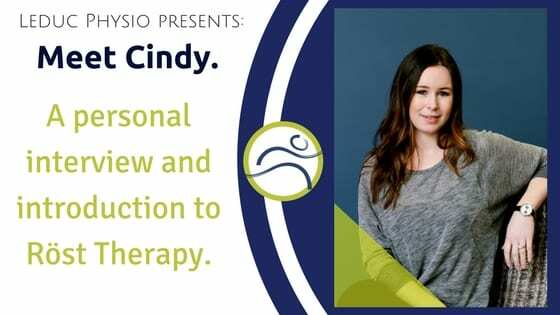 This week we are chatting with one of our physiotherapists; Cindy Freyne! 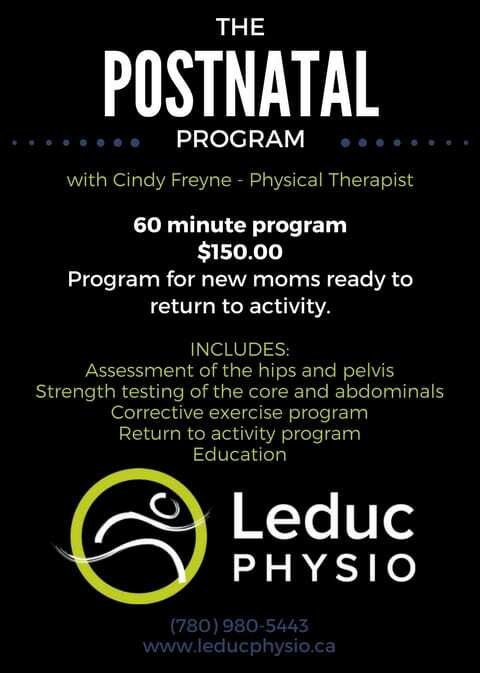 Cindy has been working at Leduc Physio since November 2016. She moved here in 2013 from Ireland, and is still adjusting to Alberta’s long winters! Cindy learned how to ski in Finland as a kid, but now likes to snowboard when she has time for a mountain getaway. She played a lot of soccer in school and captained her high school soccer team. During college Cindy spent her summers and spare time surfing on Irelands west coast, and even represented the Irish Society of Chartered Physiotherapists at the European Surfing Championships in 2011. She likes to travel and has spent a lot of time in Qatar, in the Middle East. Her favorite place to travel to is Lagos, in southern Portugal. Her week gets better when she gets to try a delicious burger at Chartier in Beaumont or when there are Calmar Bakery donuts to share at the clinic! She graduated from Trinity College in 2011 with a Bachelors of Physiotherapy as well as a Bachelors of Health Science and Physiology. Since her graduation she has been trained in functional dry needling, selective functional movement assessment, sports traumatology, athletic taping, and Röst Therapy. LP: What is Röst Therapy? CF: During pregnancy, the ligaments that hold the pelvis together soften. If these ligaments are taxed too heavily it can cause pain around the pelvic joints for weeks or even years. This is called pelvic instability. Orthopedic manual therapist and physiotherapist, Cecile Röst, has developed an easy treatment method with a very high success rate. Röst therapy is this assessment and treatment based method for pelvic and low back pain in pre and post-natal women. LP: When should someone come in or book an appointment? CF: Women can book anytime during during pregnancy or after they deliver, basically anytime they are experiencing pain in the low back or pelvis. Röst therapy is billed as physiotherapy, and so is covered by any extended health care plan that covers Physiotherapy. LP: What can Röst therapy accomplish, how long is treatment? CF: Within a relatively short period, most women with prolonged pelvic pain can function normally again, and (depending on the stage of pregnancy or maternity leave) participate in their work and sports/exercise without pain. LP: Are there other injuries you see on a regular basis? CF: When I was practicing in Ireland I worked with multiple sports teams treating various lower limb injuries, specifically knee and ankle injuries. As with any sport you see a lot of traumatic injuries like ACL tears and ankle sprains of varying degrees, here in Leduc Physio I still see these types of injuries, they’re just usually caused by different factors (mainly ice!). LP: What did working with sports teams teach you? CF: Working with competitive athletes you quickly learn to appreciate the impact injuries can have on their performance (mentally as well as physically) and by proxy the team’s performance; this is one of the reasons why I trained in functional movement screens, to help identify movement patterns specific to the athlete that may predispose them to injury. LP: What do you like about working in Leduc? CF: Leduc has a similar feel to my hometown in Mayo, Ireland. Working in a smaller city like Leduc means everyone has a very diverse caseload to keep us current on treatment methods. LP: What is one of your favorite things about working at Leduc Physio? CF: The staff at Leduc Physio are pretty awesome, I love to laugh and I can do that every day with them. Also, this may sound dorky but for such a big clinic, I love that we use all natural cleaning products and constantly endeavor to keep the clinics carbon footprint as small as possible. If you are interested in learning more about Röst therapy, check out the website: www.rosttherapy.com. Tenielle MaGee shares her vision for providing high quality and affordable physiotherapy to the Leduc area.